Durban Dry Gin (43% ABV) is a classic London Dry style gin, with a twist – our gin is made with a blend of 10 botanicals including African Rosehip. The juniper forward flavour is able to shine when mixed with all natural 031 Tonic, which is far bolder and more complex than store bought, artificially flavoured tonics. 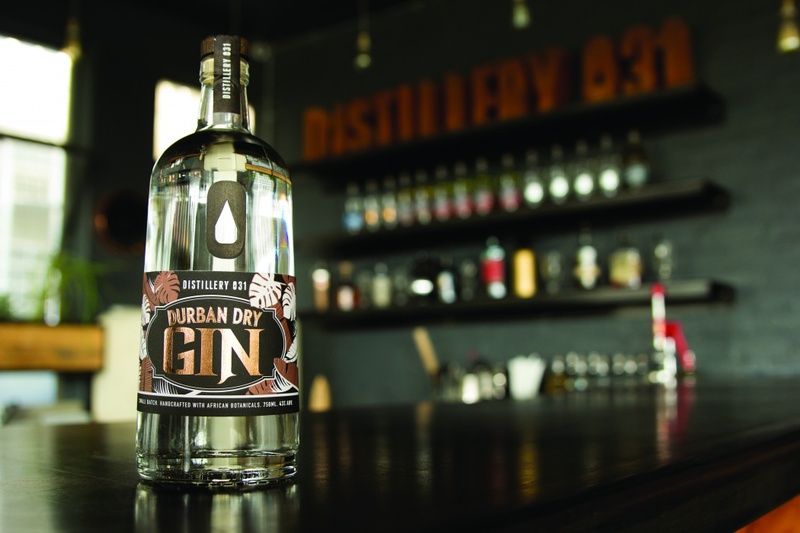 Durban Dry Gin has a strong citrus nose with distinctive but subtle juniper coming through. There’s a ‘sweetness’ and a distinct floral character in the background not found in most London Dry gins. The palate is deliciously oily and thick, covering the tongue thoroughly. At first, on the tip of your tongue, juniper hits you square in the palate – nice and fresh. The middle has a nice build, with a touch of a floral nature orris root, cardamon & African rosehip. Lemon follows before giving way to a touch of heat, juniper in the back of the mouth with subtle pepper and cassia bark on the finish. It is a well-rounded Classic London style gin. Both by name and by nature, Durban Dry Gin pays tribute to the beautiful city we call home. Furthermore, when designing the labels, we drew on Durban’s lush tropical foliage which provided inspiration for the illustration. Gin originated in the Middle Ages and derives its flavour and name from juniper berries, genievre (French) and jenever (Dutch) both of which mean ‘juniper’. It evolved from a herbal medicine to be enjoyed socially and become a commercially manufactured drink in the spirits industry. The Dutch are credited as the pioneers of the drink and it is believed to be gin that gave birth to the term ‘Dutch Courage’, after soldiers in the Eighty Years’ War would drink gin for its calming effect before battle. Gin has experienced a global resurgence over the past 5 years and is now the fastest growing spirit in the world.